Sylvie Brouder, a professor in the Purdue Department of Agronomy, knows it's possible to do both. "We'll never have a single solution to the sustainability problem. It isn't just about one nutrient or crop because these are agricultural systems, and they always change," Brouder said. "There will always be new challenges and there will always be tradeoffs. You work to understand those trade-offs, and society will decide which are acceptable." Brouder's research has led to the development of nutrient management guides and technologies that reduce greenhouse gas emissions and improve air and water quality by balancing the amount of nitrogen and other fertilizers that are applied to fields with that taken up by plants or added to the organic nitrogen reserves of healthy soils. She also focuses on modifying tile drainage systems and crop rotations to keep nutrients from entering waterways. Another effort led to models that help farmers determine if they can use marginal lands to grow bioenergy crops. 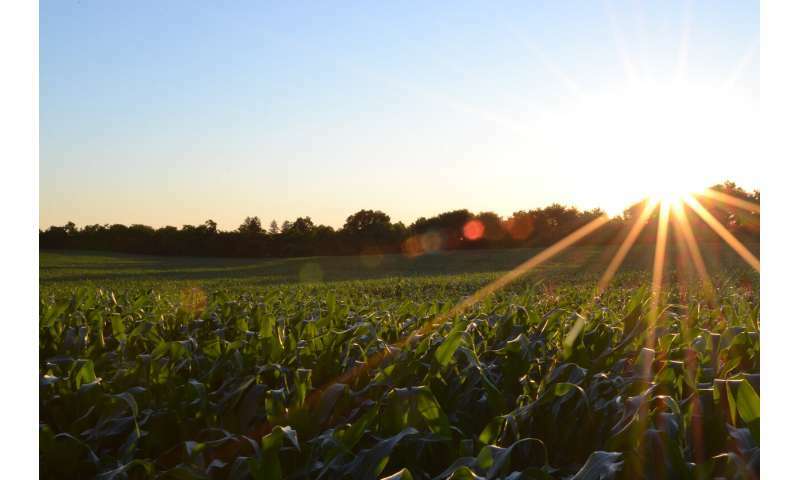 "The goal is to help farmers continue to produce profitable crops that limit or eliminate potential damage to the environment," Brouder said. Brouder also has contributed to national agricultural policy. From 2014-17, she served on the U.S. Environmental Protection Agency's Science Advisory Board, whose members provide scientific advice to federal administrators. And this spring, she led the creation of a paper, "Enabling Open-source Data Networks in Public Agricultural Research," for the Council for Agricultural Science and Technology. The paper calls for better access to and sharing of agricultural data amongst scientists. She presented findings in a series of meetings on Capitol Hill. "Open science and open data are necessary for us to tackle big, grand-challenge questions. We need to do more things to collaborate and not only share our results through peer-reviewed research, but share the data as well," she said. "I find it important to be at the interface between science and policy, bringing together people to discuss the state of the science, what we know, what we think we know, what we know we don't know, and how that can be used by economists or policymakers to incentivize stewardship." Already the headline of this article is an obscene lie. It seems to me that for receiving grants under the Trump administration it is required to follow the party line and add this kind of propaganda in research requests and ultimately study texts.